We are a network of owner-operated, micro roasters and cafés that are committed to providing our customers with ethically-sourced and superior grade fair trade products. We embrace fair trade as a vital mechanism that promotes social justice and environmental sustainability. We take pride in bringing the best gourmet coffee experience to our customers. Our single-origin fair trade coffee has wowed even the most exacting coffee aficionados. Our coffee buyer is an international coffee judge and our senior roaster belongs to the SCAA roasters’ guild. All our coffees are craft roasted in small batches, which ensures that our customers get the freshest cup of coffee with optimal smoothness, body, flavor and aroma. By working collectively as a network of small micro-roasters, we achieve economies-of-scale without compromising the spirit of fair-trade. We believe in thinking globally but acting locally. The T.A.N. network empowers each café owner to have direct contact with their local consumers and coffee producers. We believe in community building and capacity building. T.A.N. assists others start their own micro roaster cafés through financing and business planning. Through specialized training, our café operators become expert baristas and coffee roasters, and the business can then stay local to serve the community. We believe in consumer education. We are committed to provide our customers with ethically sourced and superior -grade fair trade products. Our intention is to expand the fair trade market by working together with like-minded individuals and providing education on fair trade. T.A.N. Fair Trade Products Limited has operated the micro roasters and cafes since November 2007, beginning in Wolfville, Nova Scotia. The concept of T.A.N Coffee is to create the shortest supply chain between the producers and the consumers while retaining the best possible quality, and therefore the best price to the producers and the best value to the consumers. T.A.N Coffee is organized as a network of micro-coffee roasters to import directly and market 100% organic and fairly traded coffees directly to the consumers. The cafes sell freshly roasted coffee by the pound and offer brewed and speciality coffees, a wide variety of loose leaf teas, in-house prepared food and other products, including coffee and tea accessories for home use, T.A.N merchandise, and more. The cafes are community- focused, offering organic, fair trade and local products, free wireless internet, and each cafe is a venue for gathering friends, families, students, tourists and those wishing to use the cafe as a meeting space. In April 2011, T.A.N Coffee operated seven cafes, including two outside of Nova Scotia. 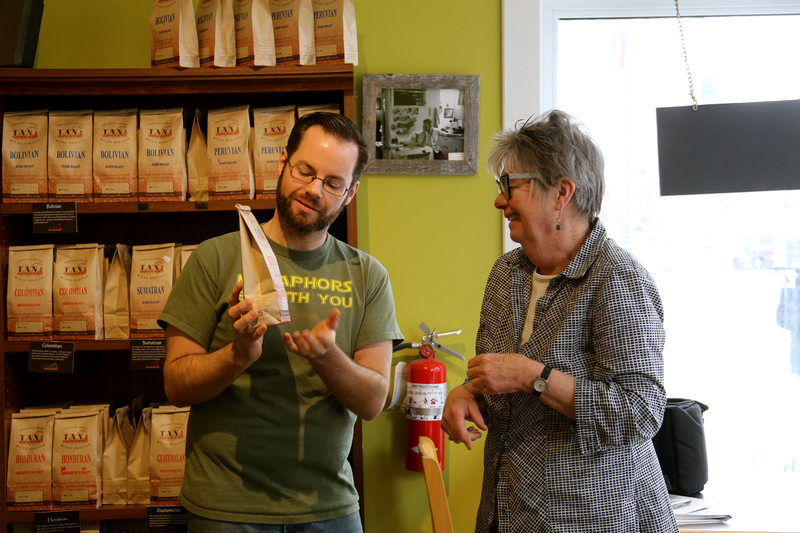 As of April 2018, T.A.N Coffee now has four running cafes in the Annapolis Valley, but offers their coffee through over three dozen vendors, including online shopping with pickup hubs all over the province. T.A.N Coffee also offers catering and coffee supply for many community markets, meetings and social activities.